The Christmas and New Year is around the corner. 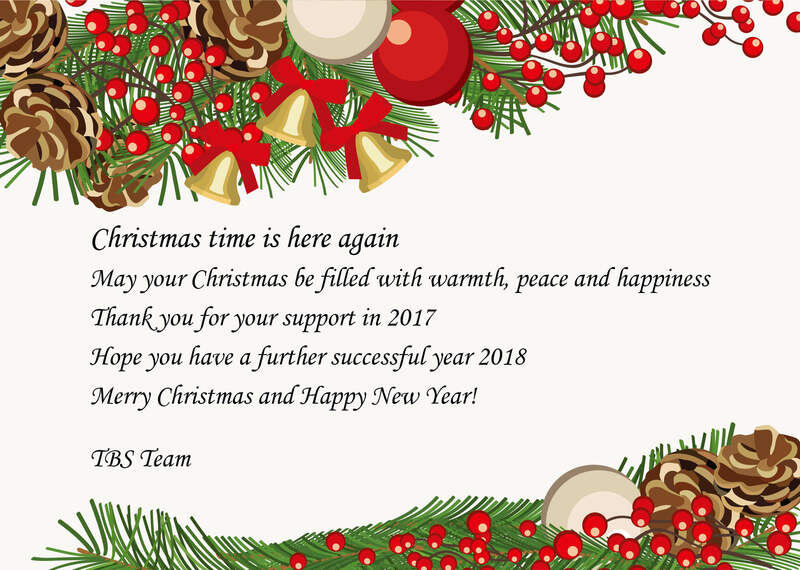 We TBS team wishes all our friends and business partners a Merry Christmas and Happy New Year. Hope you peace, joy and prosperity throughout the coming year. Thank you for your support and loyalty in 2017 and looking forward to moving into the New Year together !